From birth to adulthood, our children's physical and intellectual development is carefully tracked and charted. But what about their hearts? After all, how our children develop emotionally, socially, and spiritually will determine who they become as husbands and wives, fathers and mothers, friends and co-workers. Are My Kids on Track? 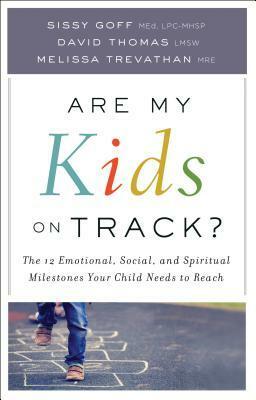 helps you identify and measure 12 key emotional, social, and spiritual milestones in your children's lives. Moreover, you will discover practical ways to guide your kids through any stumbling blocks they might encounter and help them reach the appropriate landmarks. Along the way the authors pinpoint the different ways boys and girls develop, so you can help your child flourish in his or her own way. development a seamless part of family life. Don't just raise smart kids--raise courageous, compassionate, resilient, empathetic, and smart kids. My thoughts: This book should be on every parents shelf, since it is a wonderful guide for parents or guardians to evaluate if their child is on track emotionally. I enjoyed the information immensely and will certainly be referencing this book for years to come. I like that the authors have so many years of experience between the three of them and that this is a easy to read and apply guide. I highly recommend this one! 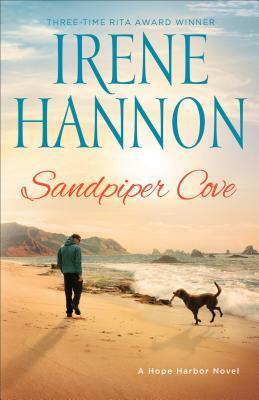 My thoughts: Readers are invited to once again visit Hope Harbor with this charming story of second chances. I enjoyed getting to know the characters and like how Irene has not only told a story at this point in their "lives" but has also taken the time to give both main characters depth with their background, showing the reader how they arrived at the point they are at in the story. It was interesting to get a glimpse of how difficult it is for Adam to adjust to life after prison, which includes not trusting the police and dealing with prejudices and vandalism. I love how Lexie's mom encourages her to see past Adam's labels early on. 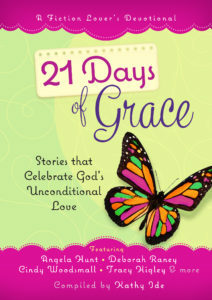 This is a wonderful story of grace and second chances! My thoughts: Wow! It was so interesting to read about the Fletchers and their journey through trials to a deeper relationship with the Lord. I can't believe just how much they went through in and 18 month period. As a mother, it confronted some of my worst fears, and yet I was so blessed by this book to see how God blessed them through the hard times and how their heartbreak was used for good. Having been homeschooled, I found the patriarchal group they were a part of interesting, since some of my friends were in groups like that growing up. 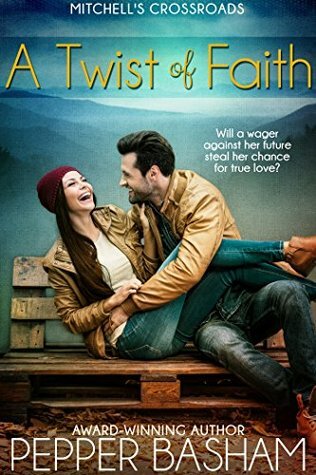 Living in rural Georgia in 1941, sixteen-year-old Alice-Ann has her heart set on her brother's friend Mack; despite their five-year age gap, Alice-Ann knows she can make Mack see her for the woman she'll become. But when they receive news of the attack on Pearl Harbor and Mack decides to enlist, Alice-Ann realizes she must declare her love before he leaves. Though promising to write, Mack leaves without confirmation that her love is returned. 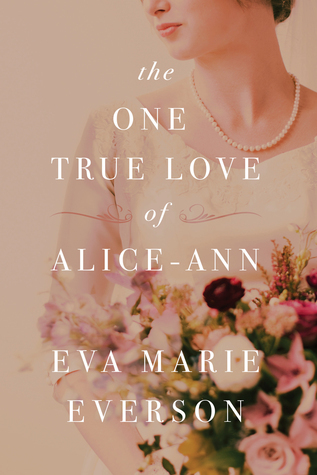 But Alice-Ann is determined to wear the wedding dress her maiden aunt never had a chance to wear--having lost her fiance in the Great War. As their correspondence continues over the next three years, Mack and Alice-Ann are drawn closer together. But then Mack's letters cease altogether, leaving Alice-Ann to fear history repeating itself. Dreading the war will leave her with a beautiful dress and no happily ever after, Alice-Ann fills her days with work and caring for her best friend's war-torn brother, Carlton. As time passes and their friendship develops into something more, Alice-Ann wonders if she'll ever be prepared to say good-bye to her one true love and embrace the future God has in store with a newfound love. Or will a sudden call from overseas change everything? My thoughts: I adored this coming of age story! It was so refreshing to read a book where the main character had more substance to her, since Alice-Ann is delightful and *gasp* doesn't look like a model. Eva Marie does a fantastic job of breathing life into the story of a young woman from a small town in Georgia who grows up when her love goes to war. I highly recommend this one! 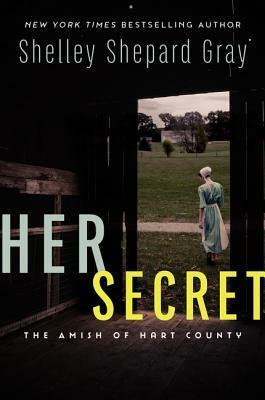 After a stalker went too far, Hannah Hilty and her family had no choice but to leave the bustling Amish community where she grew up. Now she’s getting a fresh start in Hart County, Kentucky…if only she wasn’t too scared to take it. 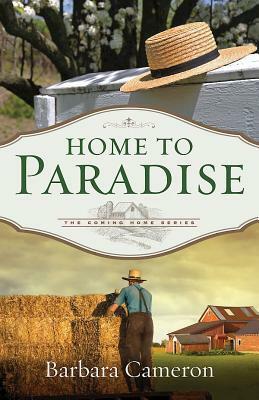 Hannah has become afraid to trust anyone—even Isaac, the friendly Amish man who lives next door. She wonders if she'll ever return to the trusting, easy-going woman she once was. For Isaac Troyer, the beautiful girl he teasingly called “The Recluse” confuses him like no other. When he learns of her past, he knows he's misjudged her. However, he also understands the importance of being grateful for God’s gifts, and wonders if they will ever have anything in common. But as Hannah and Isaac slowly grow closer, they realize that there’s always more to someone than meets the eye. My thoughts: Amish fiction has kind of exploded in recent years, so it's easy to over look this one and think that it is just another story along the same lines. But it's not, since it deals with a young Amish woman who's family had to relocate due to a stalker going to far. The suspense and character development keeps the story going and makes one look forward to the next book in this series! The secrets and mysteries in this story make the reader long for the next book to already be out, as you finish the last page! Christians are free in Christ, yet Christianity can feel like a prison. 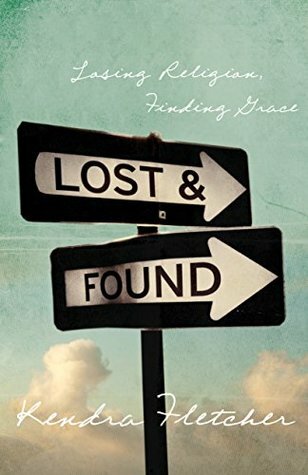 Unchained helps Christians who don’t feel that grace has changed their lives. My thoughts: This book is wonderful! As Christians, we talk a lot about how we have been made free from our sins through the cross, and yet a lot of us are not living like we are truly free. This is an excellent book for everyone to read! I really enjoyed the thought provoking discussion questions at the end of each chapter. My thoughts: This is the first time I have had a devotional that is based on fictional writings, so it was a fun way to mix things up! I enjoyed all the authors, both those I was familiar with before picking the devotional up, and those I got to know through the devotional. This is a wonderful, easy devotional that I found nice, since it takes less than a month to get through it. I received this book through Celebrate Lit in exchange for my honest review. Eliyana Ember doesn’t believe in true love. Not anymore. After capturing the Void and saving the Second Reflection, El only trusts what’s right in front of her. The tangible. The real. Not some unexplained Kiss of Infinity she once shared with the ghost of a boy she’s trying to forget. She has more important things to worry about—like becoming queen of the Second Reflection, a role she is so not prepared to fill. With the Verity intertwined with her soul and Joshua finally by her side, El is ready to learn more about her mysterious birth land, the land she now rules. So why does she feel like something—or someone—is missing? 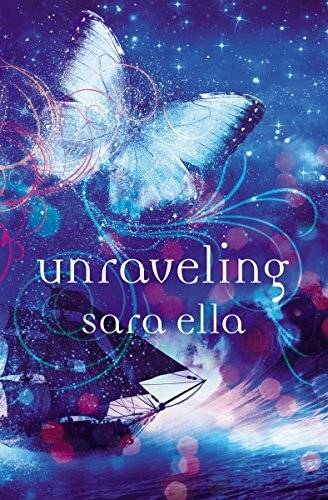 When the thresholds begin to drain and the Callings, those powerful magical gifts, begin to fail, El wonders if her connection with Ky Rhyen may have something to do with it. For light and darkness cannot coexist. She needs answers before the Callings disappear altogether. Can El find a way to sever her connection to Ky and save the Reflections—and keep herself from falling for him in the process? My thoughts: While I really enjoyed the first book in this series, I felt like this one was a bit of a disappointment. I liked Eliyana in the first story, but I got tired of being in her head with this book. And, it seemed like there wasn't quite as much going on, nor as many surprises as with the first book. I will still read the final book to see what happens, but it will be with the hope that the story will have more going on like the first book did. I received a copy of this book from the publisher through Netgalley in exchange for my review. The Crenshaw Six are a small but up-and-coming gang in South Central LA who have recently been drawn into an escalating war between rival drug cartels. To outsiders, the Crenshaw Six appear to be led by a man named Garcia . . . but what no one has figured out is that the gang's real leader (and secret weapon) is Garcia's girlfriend, a brilliant young woman named Lola. Lola has mastered playing the role of submissive girlfriend, and in the man's world she inhabits she is consistently underestimated. But in truth she is much, much smarter--and in many ways tougher and more ruthless--than any of the men around her, and as the gang is increasingly sucked into a world of high-stakes betrayal and brutal violence, her skills and leadership become their only hope of survival. 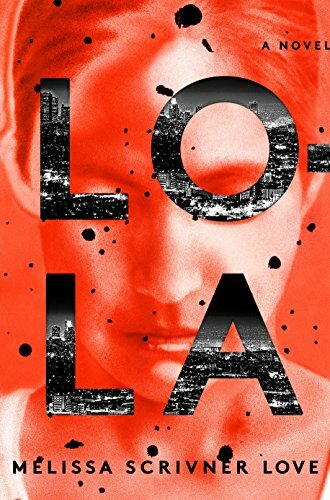 Lola marks the debut of a hugely exciting new thriller writer, and of a singular, magnificent character unlike anyone else in fiction. My thoughts: This wound up being a bit more than I could take, since it is a sad story of a young woman growing up in a rough neighborhood who has been through some horrible things and is trying to save a young girl from having to go down a similar path. A lot of the story is in the ghetto and shows Lola going up against drug lords and the like. If you like gritty stories, then you might like this one. I would only give it a 2 out of 5 stars. Not everyone is special. Or at least that's what Eric believes. But when the new girl Charlotte tells him he's a natural at hunting pirates, and offers to prove it, Eric can't resist the adventure. Thrown in the middle of the Spanish Main, Eric must quickly accept his skills, or else succumb to the horrors of the dreaded Willard Pirate Twins. My thoughts: As Eric starts to think about going to college and where he sees his life going, he realizes that he doesn't seem to have any talents to help guide him to a career path. 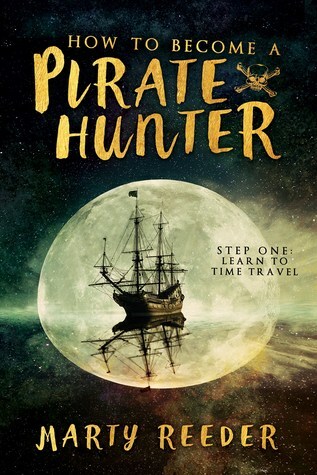 When the new girl shows up at his school, she turns his life upside down by revealing that he has an unusual gift, one that helps him hunt pirates. This is a fun story for pre-teens and teens! It's full of adventure and fun twists in the plot. 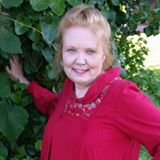 Heather Chapman, Mandi Ellsworth, Paula Kremser, Ashtyn Newbold and Cedar Fort Publishing & Media are pleased to announce the “Unexpected Love” blog tour, which will run from March 14-31, 2017. Around the turn of the century, matches were made for all sorts of reasons–whether to keep a family together or simply to make ends meet. But love has a way of turning up in the most unexpected places! With four historical romance stories in one, this fun anthology will sweep you from the dance floors of aristocracy to the hearths of country living, leading to love through the most unusual circumstances. My thoughts: I enjoyed this collection of stories about Marriages of convenience immensely! It was fun getting to know each of the couples as they strove to get to know one another. The different settings for the stories are fun, and I like that they are all quite different. I have read stories by Paula and Heather 9and enjoyed them), but this is the first time I have read anything by Mandi or Ashtyn. I look forward to reading more of their stories! If you are looking for a delightful way to spend a couple of evenings, this book is a wonderful choice! But he couldn’t. After reviewing Scripture’s teaching on money—over 1,300 verses—he realized he had missed something big. 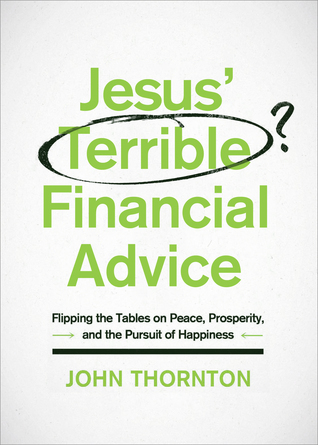 Jesus’ Terrible Financial Advice turns even conventional Christian wisdom on its head. While it answers many of the practical questions we have—like does Jesus want me to be rich or poor? Should I give to everybody who asks? Is it wrong to save?—it goes beyond these concerns. It asks bigger questions, gives bolder answers, and offers a more comprehensive view of stewardship. Follow Jesus’ “terrible” (shocking, otherworldly) financial advice, and you’ll have what money can’t buy: purpose. My thoughts: I would venture to guess that most, if not all of us, have heard the gospel of prosperity or how people claim you just need to name it to claim it. But what does the Bible say about those theologies? This book is an interesting one to pick up, I think I especially appreciated it since the author was so honest about how the Bible has challenged his view of money and it's place in his life. One of my favorite quotes from the book was towards the end: "Wealth is a blessing, but it becomes a curse for us when we set our hearts on it instead of Him.". This book does a fabulous job of highlighting what scripture has to say about money. I received this book from Moody in exchange for my honest review. A modern re-telling of My Fair Lady, this is a delightful story of faith, love, and discovering the true meaning of home. I enjoyed the characters immensely! My thoughts: Isn't the cover on this one just darling? The story wound up being every bit as cute as the cover is! I enjoyed getting to know Gabby, a smart gal who feels like her life is constantly taking detours she didn't expect. 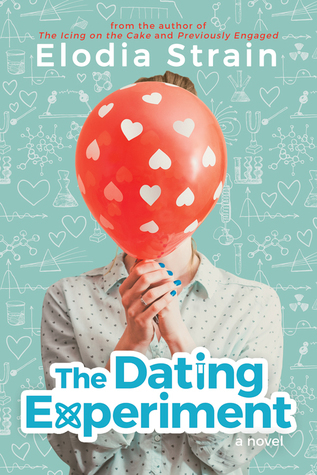 When her lack of a good job makes her desperate enough to take part in a dating experiment, life gets even more zany. This book is just adorable! it's a fun, easy read that I enjoyed tremendously! Murder for the Time Being and giveaway! My thoughts: This mystery wound up being a lot of fun to read! I hadn't read anything by Joanie before, so I was excited to try this book out. I will be sure to pick up some of her other stories now, since this book is well written and I liked that there is a lot going on with the mystery and story. Two thumbs up! I received a copy of this book through Celebrate Lit in exchange for my honest review. To celebrate her tour, Joanie is giving away a Kindle Fire!! Click below to enter. Be sure to comment on this post before you enter to claim 9 extra entries! 1985. The death of Eleanor's twin sister tears her family apart. Her father blames her mother for the accident. 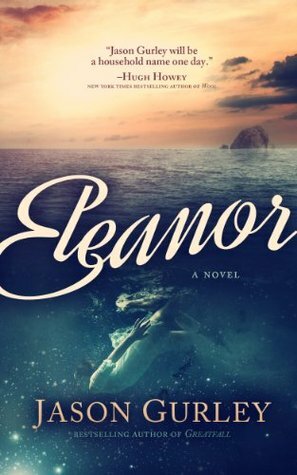 When Eleanor's mother looks at her, she sees only the daughter she lost. Their wounded family crumbles under the weight of their shared grief. 1993. Eleanor is fourteen years old when it happens for the first time... when she walks through an ordinary door at school and finds herself in another world. It happens again and again, but it's only a curiosity until that day at the cliffs. The day when Eleanor dives... and something rips her out of time itself. And on the other side, someone is waiting for her. My thoughts: This is an interesting story about grief and depression! While it is labeled as a YA title, some of the topics are pretty heavy and perhaps geared towards a more mature audience. I like how this book starts out telling the story of two young women, one who battles with depression and feels the ocean calling to her, and the other (a couple of generations later) who loses her twin sister. Some of the trips down the rabbit hole were hard to wrap my mind around, but it all comes together in the end! This is an interesting book, and I look forward to reading more by Jason Gurley! 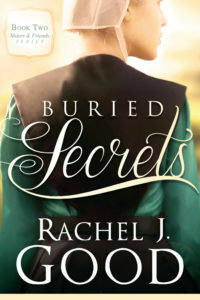 Buried Secrets review and giveaway! My review: This book is hard to put down! I enjoyed the suspense right away, since Emma can't remember what happened around an accident. I love when Amish fiction has some mystery to it, since it adds a lot. This book is excellent! To celebrate her tour, Rachel is giving away a full box of Whoopie Pies freshly baked for you from a bakery in Amish country, along with copies of Angels Unaware, the brand new Amish Words and Proverbs Coloring Book and Amish Quilts Coloring Book #1 (Large Print Edition), an autographed copy of Change of Heart, and an Amish cookbook!! Click below to enter. Be sure to comment on this post before you enter to claim 9 extra entries! Rose Anna Zook has watched her two older sisters marry two Stoltzfus men and has always thought she and John, the third Stoltzfus brother, would marry, make a home together, and have children. But John has other ideas. He's enjoying his Rumschpringe in the Englisch world a little too much and isn't interested in returning to the Amish community--especially to marry. My thoughts: I need to go back and read the first two books in order to enjoy this one more fully! It is a delightful story of the last Zook sister waiting for her beloved to come back to their Amish world, so they can marry. But, John doesn't feel like he has enough to offer. This is a lovely story. 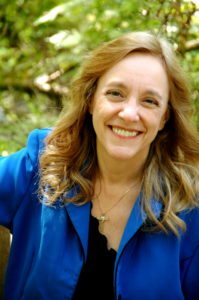 Happiness expert Karen Salmansohn presents a unique interactive book that invites readers to literally open letters of encouragement, wit, and wisdom whenever they need a boost. 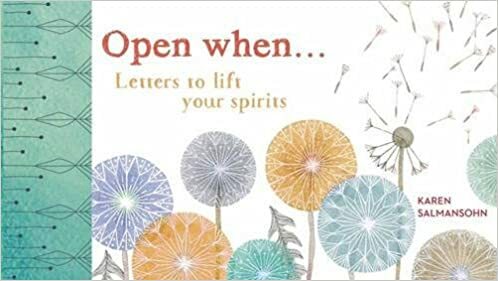 Inspired by the trend of "open when" letters sweeping the nation, Instant Happy author Karen Salmansohn has created a bound collection of 12 notes for readers to flip open whenever they need a pep talk. With categories like "Open when you need a laugh," "Open when you're feeling stressed out," and "Open when you need courage," these little happiness-boosters are based on Salmansohn's viral posters that combine witty sayings with colorful graphics. My thoughts: It was with a bit of sadness that I started this book, since I knew it would be the last story about the Whitman family and their Chicory Inn. I have to say though, while I enjoyed the previous stories, I think the best two were the last two! (though, that could be due to my having just read them! They are all excellent) I appreciate that, with each story, there are issues tackled and victories won. I like that this one tackled interracial relationships and how events of the past few years have affected them. This is a beautiful story that I highly recommend! My thoughts: I enjoy this series immensely, since it is a fun set of mysteries that is just enjoyable! I really like the time period it is set in, England in the 1920-1930's. The characters are interesting, as they develop over the course of the series. 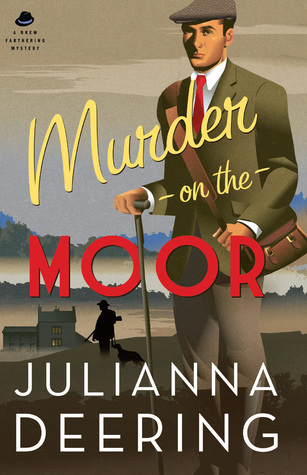 I liked the themes in this one and the chance to visit the Moors through it. ;) I would love to go in person someday! After I started this one, I realized that I missed the 4th one, which I will have to remedy. 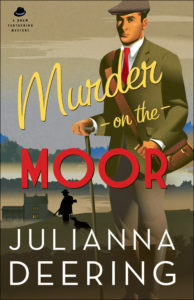 I highly recommend this delightful mystery! 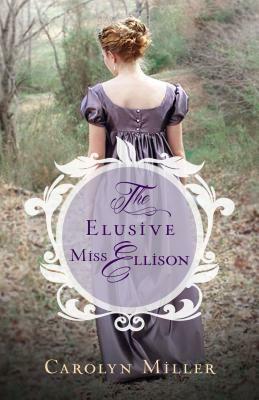 My thoughts: It seems like I pick up Regency style novels with nervous excitement. Will this be a delightful read? Or will it be another author trying (and failing, since they aren't the real McCoy) to one up Austen? I was excited to receive this book in the mail for those reasons. Thankfully, this book wound up being delightful. I enjoyed the characters and their verbal sparing. I love that Lavinia is a not an insipid character. ;) I also delighted in the surprises of the story. I highly recommend this one! Do you wonder if you will ever find balance? —Enthusiastic encouragement for living out God’s purpose. For every woman who wonders if her satisfaction in life will ever match her dreams, Pennington has real-life answers full of hope and humor. My thoughts: I very much enjoyed this book! The other does a wonderful job of making the reader feel like this is a chat between friends. 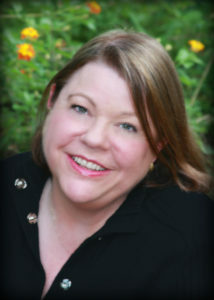 She is hilarious as she shares about discovering balance in your life. I love that she is in the same journey as well, which makes it even easier to relate to her and enjoy this book. Whether you are looking to balance your life in the area of finances, being a wife or mom, or friendships, along with a myriad of other topics, this book is an excellent one to pick up. I received this book from Litfuse in exchange for my review. I'm set to review this book for Celebrate Lit, so be sure to watch for a review and giveaway!